At 2646 N. Milwaukee Avenue, The Logan Theatre is extremely easy to get to! We are steps from the Logan Square Blue Line and the Milwaukee (56) bus. 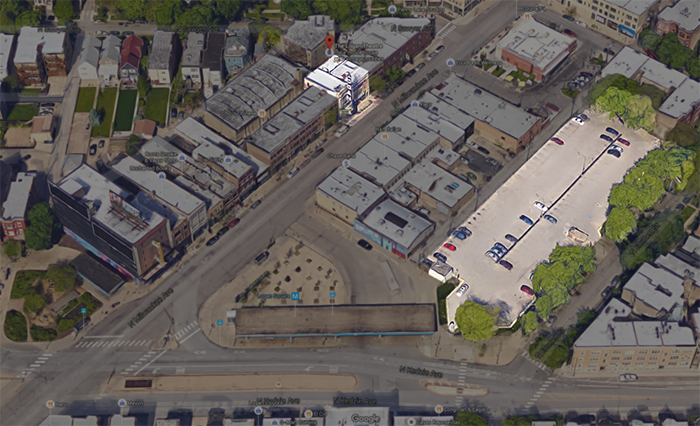 There is metered street parking (up to 3 hours) on Milwaukee Avenue, as well as a metered parking lot on the corner of Emmett Street and Kedzie Avenue, just a short walking distance from The Logan Theatre. (See map below).